The best and (likely) worst case scenarios for Ukraine’s new peace deal. Belarus President Alexander Lukashenko, Russian President Vladimir Putin, German Chancellor Angela Merkel, France’s President François Hollande, and Ukrainian President Petro Poroshenko pose at the presidential residence in Minsk on Feb. 11, 2015. After marathon talks that at times seemed to get extremely heated, the leaders of Russia, Ukraine, France, and Germany agreed in Minsk on Thursday to a new ceasefire deal. Fighting has continued in eastern Ukraine as the talks have been going on, and perversely, will probably continue up until the new ceasefire takes effect on Sunday. The main points of the ceasefire include withdrawal of heavy weaponry from the area, amnesty for prisoners, and the withdrawal of foreign militias from Ukrainian territory. (Of course, since Russia has never acknowledged sending troops into Ukraine, this last point may not change the realities on the ground.) By the end of 2015, the rebel-held regions will be given substantial political autonomy from Kiev, while Ukraine will regain control of its eastern border with Russia. I’ve been skeptical about the prospects of a deal that doesn’t address the larger causes of the conflict between Ukraine and Russia, but obviously it’s worth being hopeful about any effort that even temporarily suspends a conflict that has already killed 5,300 people. Even under the best-case scenario, Ukraine will remain in a state of frozen conflict and the rebel-held regions will remain outside of Kiev’s political control for the foreseeable future. It may be, that with sanctions starting to have a serious impact on the Russian economy, Putin may conclude that he’s pushed his advantage as far as he can in Ukraine and ease up on support for the separatists. Retaking Crimea and forcing Ukraine’s government into surrendering de facto control over part of its territory isn’t a bad year’s work. In the meantime, Western countries can continue to support Ukraine’s economic development, as Anne Applebaum suggested last week. The IMF agreed to give Kiev a new $17.5 billion deal. While its leaders may not admit it, political reform and economic progress in Ukraine may actually be easier with the pro-Russian eastern regions cut off. The worst-case scenario, which is also the most likely, is that Putin cares less about autonomy for eastern Ukraine than he does about making the country ungovernable for its pro-Western government. 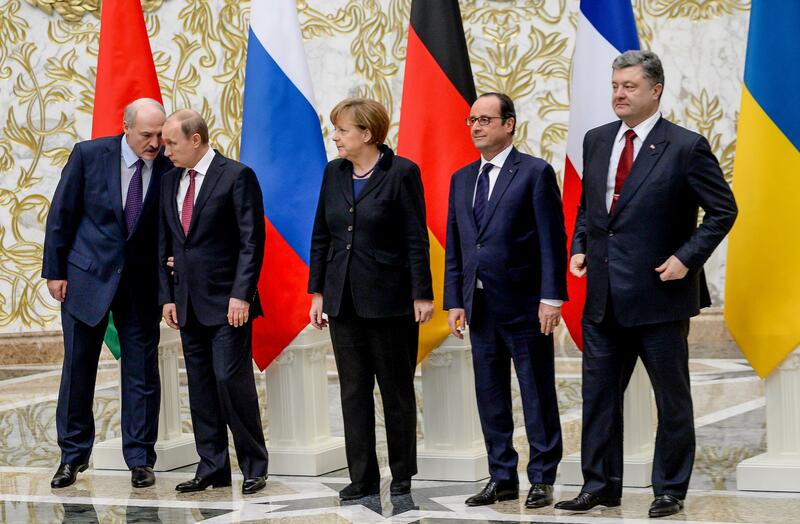 After a cool-down period, this Minsk agreement will prove as ineffectual as the last one did. In the meantime, pressure will grow in the United States to provide weaponry that will likely only serve to escalate the conflict. The diplomats may be returning to the negotiating table sooner than they hoped.